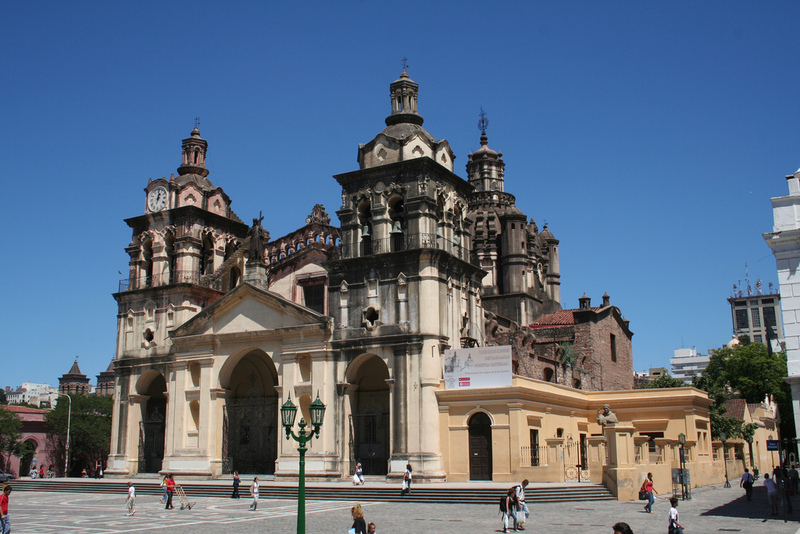 Cordoba, Argentina’s second city, has a wealth of activities for anyone visiting the area. Whether city vibes are your thing or you’re looking to immerse yourself in nature, Cordoba has it all in spades. We take a look at the best things to do in and around Cordoba. Declared a UNESCO World Heritage Site in 2000, the Jesuit block is a city center complex built by Spanish missionaries over the course of 150 years in the 17th and 18th centuries. The block contains the city’s university, a school, a church and some residences, all of which make up the core buildings of Jesuit reduction. Located outside the city in the province of Cordoba are five estancias, or ranches, each having its own church and associated set of buildings. Visit the Jesuit block here. A 19th century park designed by French urbanist Charles Thays, Parque Sarmiento is a prominent feature of the city and the largest green space in Cordoba. Complete with rose garden and duck lake, the park was a haunt of the wealthy at the time of its construction, now enjoyed by anyone who wishes to take a stroll in its idyllic surroundings. Visit the park here. Located in Parque Sarmiento, this museum dedicated to Argentina’s former first lady Eva Peron is housed in a mansion built by local aristocrat Dr. Juan Ferreyra in the Beaux Arts style. Completed in 1916, it has been home to the Evita Fine Arts Museum since 2007 and has a collection of over 500 artworks by both local and international artists. Visit the museum here. Declared a National Historic Monument in 1941, the Cordoba Cathedral was finally completed in 1787 and flanks one of the city’s main squares, Plaza San Martin. It is part of an administrative complex that also includes the town hall, and is a mix of Spanish Baroque and Neoclassical architecture that has been added to and restored over the years. Visit the cathedral here. Also located inside Parque Sarmiento, this austere and imposing building was originally designed by German architect Juan Kronfuss in 1915. A new, modern addition was added to the rear of the Neoclassical structure in 2007 and now the entire museum houses many wonderful contemporary artworks. Check the website for upcoming events and exhibitions. Visit the museum here. This cultural and retail complex is on the site of a former women’s prison in the center of Nueva Cordoba. With a modern construction set in a landscaped plaza, a shopping plaza now sits on top of the jail’s ruins and an arts center is housed in a converted chapel. Visit the centre here. 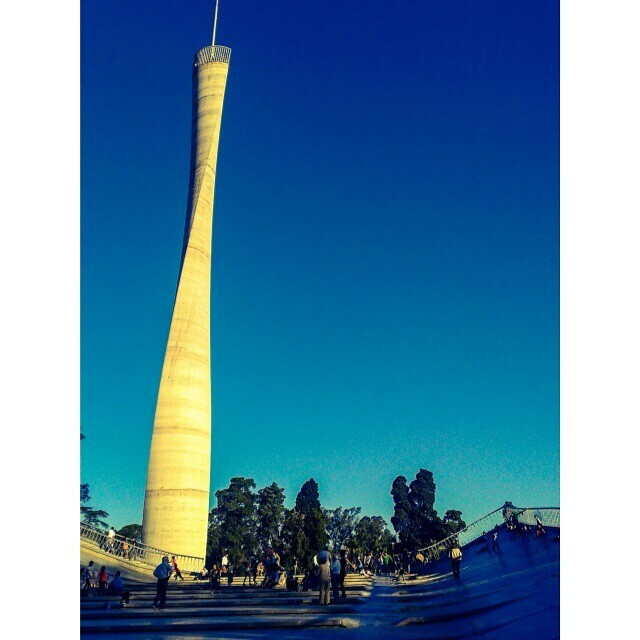 Sitting at the edge of Parque Sarmiento, this monument was erected in 2010 to celebrate 200 years of the Argentine revolution. An 80m high, twisting concrete tower, the Faro (or ‘lighthouse’ in English) illuminates from the top at night and has an exhibition space and an auditorium. Visit the faro here. Another must-see in Parque Sarmiento, the Centro Cultural Cordoba is an impressive feat of urbanism and engineering, taking the form of a sculptural landform under which the concrete and glass structure of the cultural center sits. Part interpretive center, part city monument, it is worth scaling its large ramp to get impressive views of the city. Visit the centre here. Situated just outside the ring road that encloses the city, the Reserva Parque San Martin is an ecological reserve set in a lush landscape with many natural features including a picturesque river for those who want an easy escape from the city. Stay in the campground to get the best out of the reserva experience. Visit the reserve here. A popular haunt of college students who proliferate in Cordoba, Nueva Cordoba is the city’s heartbeat. Marcelo T. Alvear is the go-to street for the most vibrant nightlife – revelers party into the wee hours, downing glasses of Fernet and Coke, a staple of the Cordobese nocturnal scene. Located opposite the Paseo del Buen Pastor, this incredible church was only completed in 1934, despite appearing to date from an era far earlier than this. 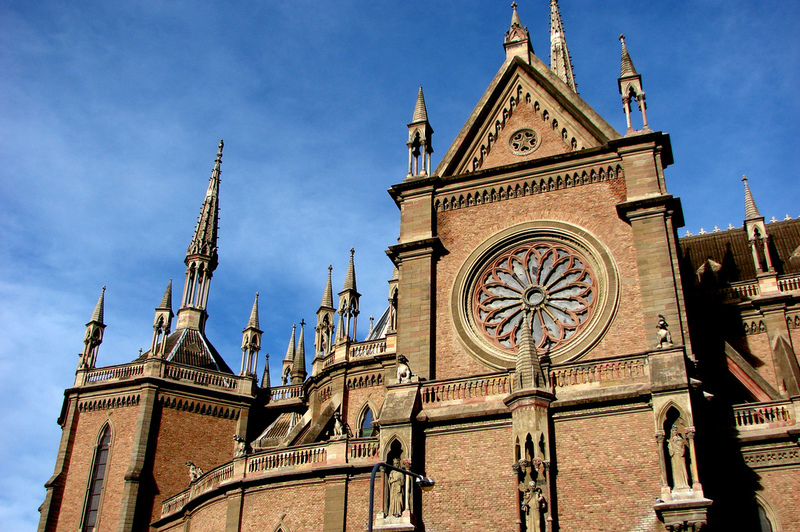 Built in the Neo-Gothic style, it is notable for the two bell towers on its front facade, one with a spire that represents divinity and another truncated tower which represents mortality. Visit the church here. Cordoba’s hippest neighborhood has some of the best bars and restaurants in the city. Stroll around in the evening to get a flavor for the area, then dip into one of the many quaint alleys to check out the culinary wares on offer. Situated at the junction of Montevideo and Belgrano, the Paseo De Los Artes is a veritable feast for all those who want to delve into the artisan world of Cordoba. 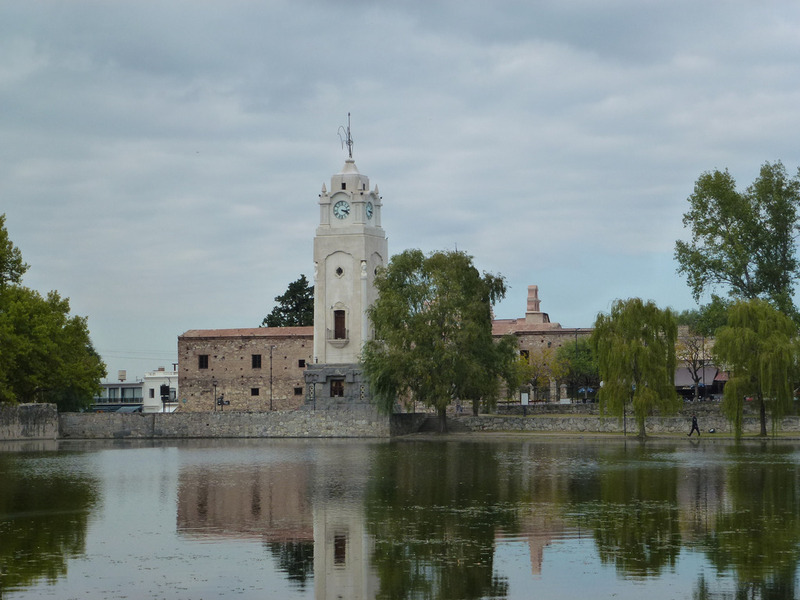 Between artisan markets, a handicrafts museum and numerous stalls selling their products, the Paseo De Los Artes is a celebration of regional craftsmanship. Visit the market here. This sculptural government building is a planar concrete construction with an interestingly perforated facade. Although not accessible to the public, it is worth passing by at night to see it lit up in all its glory. Visit the building here. This idyllic town is a tourist haven for those looking to experience both the urban settlements and natural beauty of the Cordobese countryside. Situated on the shores of the San Roque lake, Villa Carlos Paz is less than 40km from Cordoba and boasts incredible lakes, rivers and hills – perfect for some light outdoor activity. This quaint mountain town was founded in 1930 by two German agriculturalists and has a distinctly Alpine feel. Known for its Bavarian architecture and German influence, it is a popular stop on the tourist trail in the countryside surrounding Cordoba and well worth a day trip. This quiet town garnered fame for being a safe haven for anyone with respiratory or pulmonary ailments due to its pure and fresh air. Now it is more renowned for the National Folklore Festival it hosts annually, drawing over 100,000 people each year. One of the more legendary locations around Cordoba, the Uritorco Hill has become a thing of lore due to reported paranormal activity in the area. UFO sightings, secret portals to other dimensions, magnetic energy fields all fight for the title of the most bizarre happening on the hill. A must-visit for any mystic. A small town in the Sierras Chicas mountain range in the Cordobese countryside, Capilla Del Monte is the local stronghold and hub for anyone wanting to visit the Uritorco Hill. There are many other features of natural beauty to be explored from the town, such as the Calabalumba River and the El Zapato rock formation. This local mountain range runs parallel to the Andes but is a lot more hospitable. Clusters of rolling hills and valleys hide rivers and streams, and the Sierras offer everything an outdoor enthusiast can want. Rent a car and discover the wonders the Sierras Grandes have to share.